No longer a backyard project, the National Wildlife Federation’s Certified Wildlife Habitat program positions independent garden centers as the ultimate “one-stop shop” for consumers. What can be better than neighborhood residents and local businesses recognizing your garden center as the leader in your community for anything and everything earth friendly? That’s a handsome title — one that begs the question: Do you deserve it? Promoting the NWF’s Certified Wildlife Habitat is one obvious way independent garden centers can get a handle on earth stewardness and take the lead on it. So what exactly is a Certified Wildlife Habitat? The four key (and required) habitat ingredients for certification are: food, water, cover/shelter, and a place to raise young, according to www.nwf.org. The NWF naturalist says most of your customers already have some of the basics required for this program. The program is designed to get as many people in the door and engaged, so the bar for certification isn’t too high to keep shoppers from participating. “We’ve learned that once people realize they’re already doing some of the basics and then start to see wildlife show up because of their efforts, they then get incredibly engaged,” he says. To get the ball rolling at your garden center, Mizejewski believes the key to the success is for the garden center to also create a habitat in some capacity and then get it certified. Touting the advantages of native plants can act as another vehicle garden centers can use to reinforce the benefits of habitat building, says Steve Castorani, owner of North Creek Nurseries and American Beauties Native Plants. A huge proponent of native plants is the National Wildlife Federation, but after heavily promoting native plants to help build wildlife habitats, NWF struggled in the past to find a common place to send their members who were looking for plants native to their region. “It was kind of like a hand in glove arrangement,” he says. American Beauties Native Plants currently distributes a portion of the purchase price back to NWF to help in that organization’s growth. Native plants are vital in wildlife habitats, Castorani explains. The reduction of native plants reduces the number of host plants the insects need, especially butterflies, to lay their eggs, which directly affects the bird population. In the spring, the critical source of food for the birds is the larvae, which is a very important link that help’s populate the species and people don’t often understand that. “As national populations of native plants have declined, there’s been a direct correlation, which has been well documented, with the decline of bird species populations,” he adds. Castorani through American Beauties has been working with NWF the last couple of years to implement a habitat ambassador program, which will marry a garden center with a local NWF volunteer. As a habitat ambassador, that volunteer will visit the garden center to talk about building habitats and the importance of ecology. 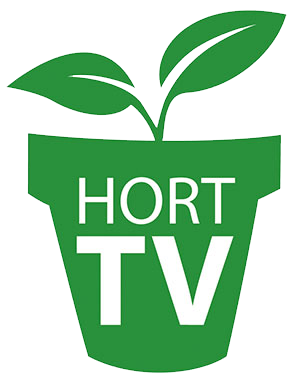 Garden centers can then create events and promotions around this, educating customers on the project of creating a Certified Wildlife Habitat. “There’s a part of every garden center’s customer base that’s looking for a project like this,” Castorani says. “They’re looking for information like this, because they truly care about the earth. There’s a rise in popularity for natural, lower maintenance gardening. Gardens that solve problems.